The Toei Animation Museum has announced that that Savers Agumon statue that's on display will be temporarily removed. They don't specify why, but a good guess might be to add additional weather clearcoating to it so the statue doesn't degrade. The museum expects the statue to return at the end of February, but adds that they will tweet when it returns. 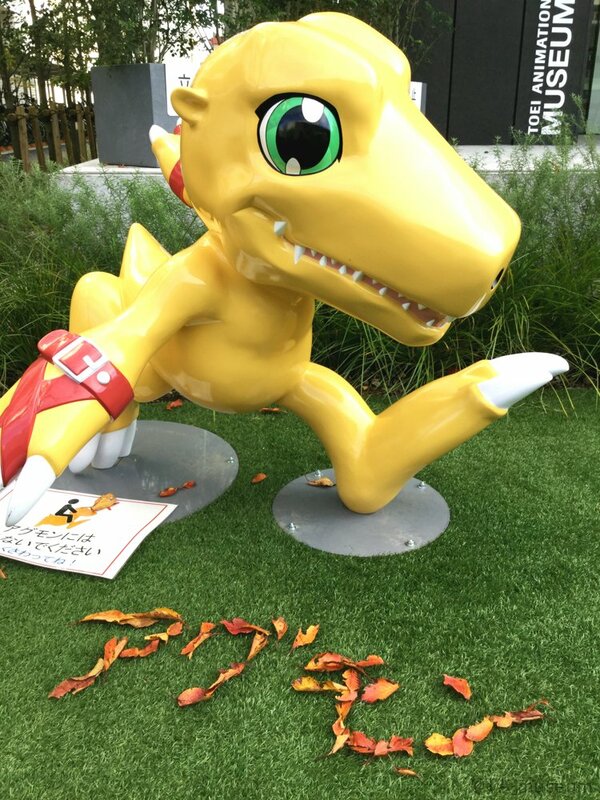 The text written out in leaves says Agumon (アグモン). I'm totally digging the notice in the corner asking for visitors NOT to ride the Agumon.